In a blog post I wrote for Authors Electric last month (Retelling Tales – It’s Been Done Before) I hinted at my latest book. This month I’m pleased to announce my latest ebook featuring the rogue that is Brer Rabbit is now available for download from Amazon (UK – USA). The book contains eight retold tales all based on the original tales collected and retold by Joel Chandler Harris. I’ve placed a blatant plug on my personal Facebook page and my author Facebook page. I’ve decided to give Wattpad a go. If you’ve not heard of it basically it’s a library you upload your work on to and people can download and read for free. Some people choose to place entire books on there, a chapter at a time. Some like myself upload part of their work (in my case just one of my short stories) in the hopes someone enjoys their work so much that they are then willing to pay to read further work. I have no idea if it’ll work but I’m happy to give it a go. In the first 24 hours my Brer Rabbit story was read by six people. 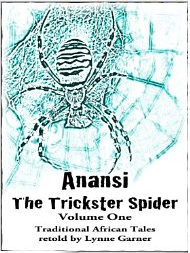 I’ve also uploaded a story from my Anansi the Trickster Spider collection so I can see if the sales increase – I’ll let you know in a few months if Wattpad appears to pays off. I’ve let the 449 people on my LinkedIn network know my book is now available to purchase. I also intend to let a few of the groups I’m a member of know about my new book. One of the groups has 3,774 members – so a quick mention can’t hurt. As you can see I’ve also blogged here and intend on blogging on our company website (all my ebooks are written under the banner of Mad Moment Media). I read somewhere that Pinterest has 70 million users, with 80% of those being women and apparently 70% of Pinterest members using the site as inspiration for their next purchase. So I’m going to create a Brer Rabbit themed board which will hopefully raise the profile of my ebook and even create a sale or two. I’ve added the book to my author page on Goodreads. I’ll be honest I’ve done very little with Goodreads, so over the next couple of months I’m going to learn as much about it as I can and try to discover if it can be used as a marketing tool. If you have a Goodreads author account and also wish to experiment then here is their official link that provides information on how you can use it to market yourself and book. Last but not least I’m going to create a ‘proper’ email signature. It’s something I’ve never done (I’ve just been lazy) but I send 100s of emails per month. Apparently it shouldn’t take long and I never know it may lead to a sale or two. Lastly If you fancy reading a Brer Rabbit story or an Anansi the Trickster Spider story then just follow the links.